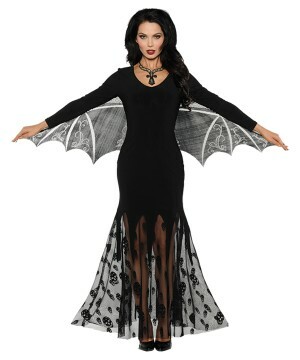 If you are not afraid of the dark and if you are thirsty for blood, you will be delighted to browse our Women's Vampire Costumes section! 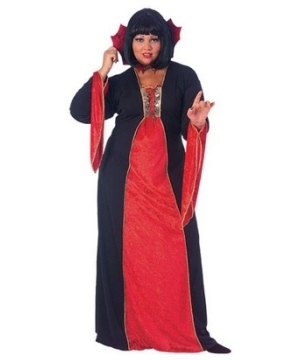 Have a blood-quenching Halloween in a Vampire Costume! Choose your favorite one from various styles at great prices. 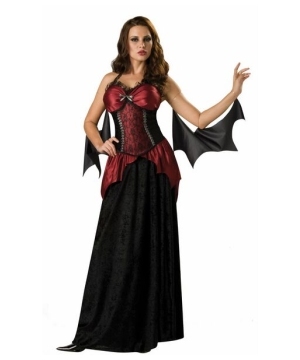 A woman wearing a vampire dress will not only look beautiful but also irresistible. Remember those days when you were young and inexperienced in the ways of life and death, before that single bite that changed your life? Probably not! 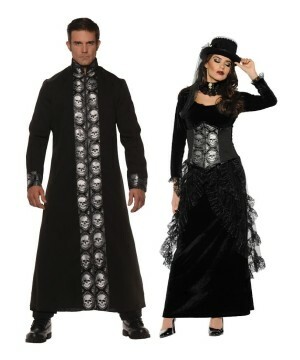 Death, undead resurrection and immortality can blur the past as easily as a bad case of amnesia. 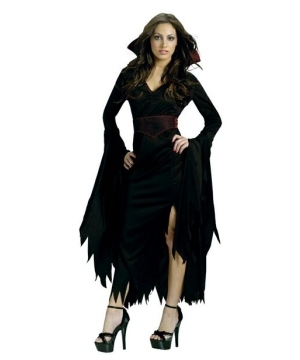 Enough small talk, you are here to search for a Women’s Vampire Costume. Luckily, there are multitudes of vampires out there, wandering the city while the moon is high, and Wonder Costumes is proud to design their seductive outfits. 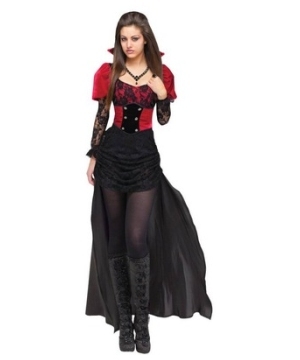 Our Vampiress Costume is a blood red dress with black lace and a black corset, including a black choker amulet and a black collar. 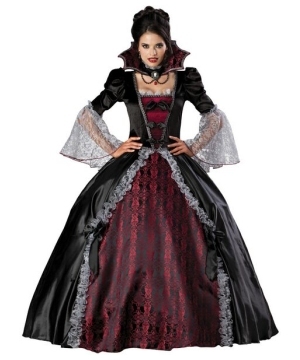 The Midnight Vampiress Costume will make any after-dark seductress irresistible with a black gown with a maroon top and a high black collar, arms wrapped in black lace. 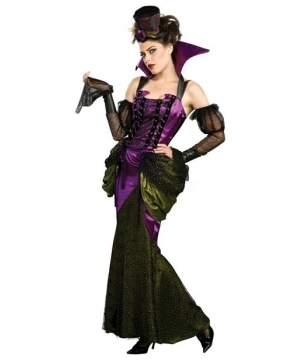 The Victorian Vampiress Costume is a picture of absolutely majestic beauty with its curvaceous, sparkling purple and green dress tied in the front and large purple collar. Lurk in the midst of night looking elegant in a Vampire Costume.